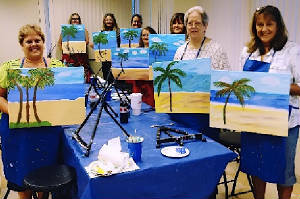 Oviedo's Original Paint-Along Studio Now Comes To You! Yes You Canvas! 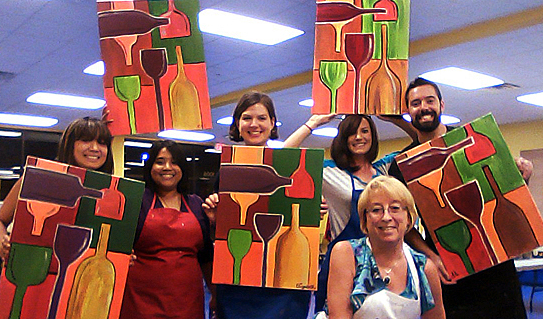 is actively operating in Oviedo offering on-site group events and parties! Please click here to email studio owner Karen Phillips, or contact her at 407-760-3054 to leave a text or voice message. She'll either help you find a venue or come to your business, school, or home...together you'll determine what works best for you! As a former teacher working with K-thru-12 students, Karen is a natural choice to come teach your campers how to paint with acrylic paints. Her experience keeps the kids' attention while they have fun and learn! 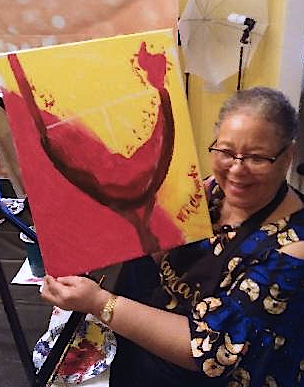 Make Plans to Paint with Karen! Karen has been operating Yes You Canvas! 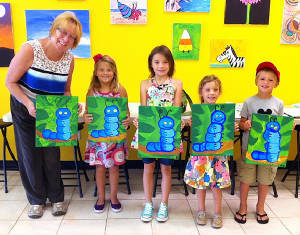 in Oviedo for over five years, bringing the joy of art and self-discovery to thousands of new artists of all ages! Remember...click here to email studio owner Karen Phillips, or call or text her at 407-760-3054. You can also go to Facebook and leave her a message. 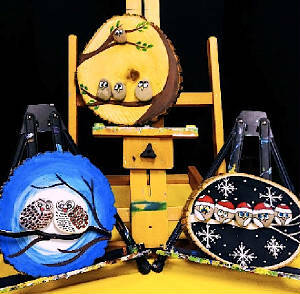 We also paint rocks on wood, wine glasses, and other popular crafts! There are no limits to our imaginations...ask Karen for some new and fun ideas! 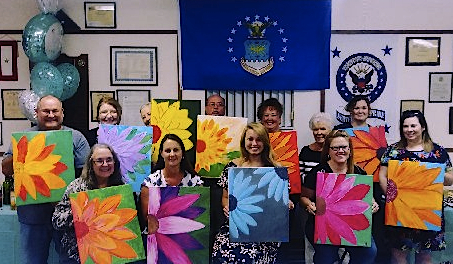 All of our painting events are now pre-arranged group activities. Karen also does commission work of all kinds...contact her today! Yes You Canvas is no longer operating in Jacksonville or Orlando.